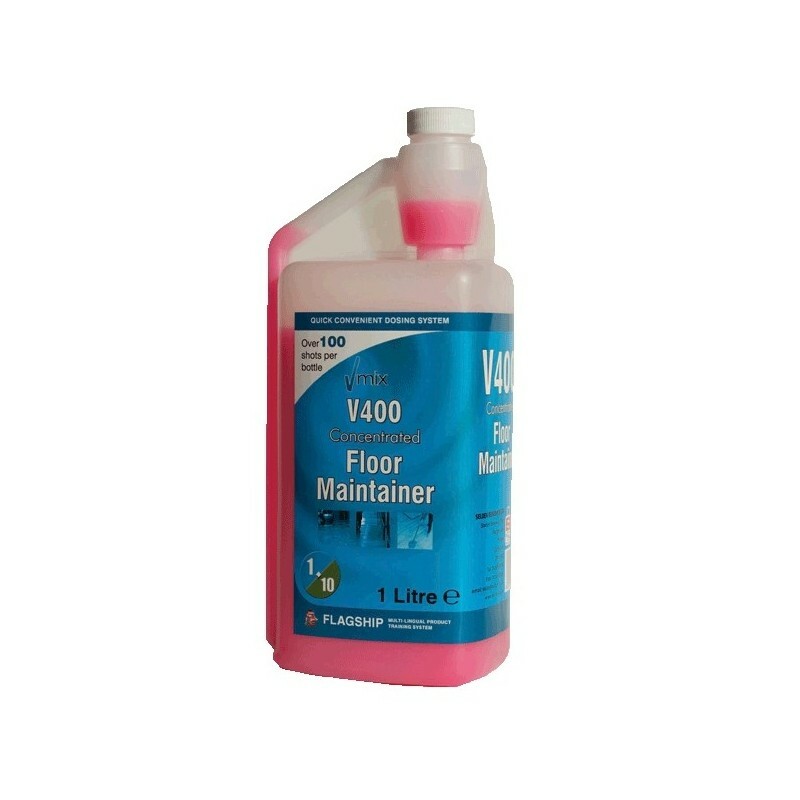 V400 Floor Maintainer is a high quality concentrated spray cleaning concentrate containing polymer and wax to add shine and durability to polished floors. Can be damp mopped and then will respond to burnishing with a soft / medium pad. 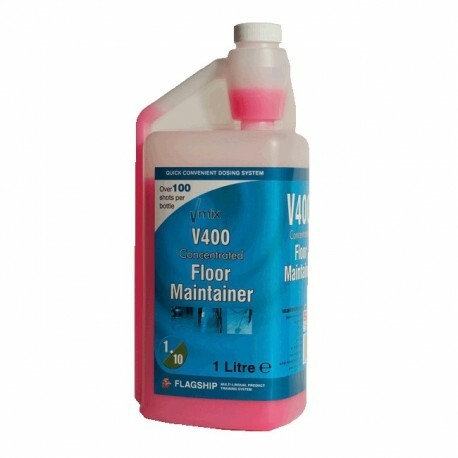 The opaque, pink, high quality concentrated spray cleaning concentrate containing polymer and wax to add shine and durability to polished floors. Application: Can be damp mopped, will respond to burnishing with a soft / medium pad. Follow the pictorial guide on the bottle. Squeeze bottle to fill the top reservoir, when the reservoir is full tip the contents into either a trigger spray bottle or a bucket containing warm/hot water. A second dose may be necessary in larger buckets, do not repeat the dose into trigger spray bottles.